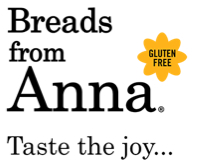 Follow Breads From Anna Pie Crust package instructions. Blend in coconut flakes and divide dough into 2 dough balls. Place dough ball into a 9″ pie plate. Flute edges and prick pastry. Bake for 15 minutes or until light golden brown. Blend in all pie filling ingredients until smooth, a hand mixer on medium speed works well. Pour ingredients into a medium sauce pan. Cook and stir over medium-high heat until thickened and bubbly. Cook and stir 2 minutes longer. Remove sauce pan from heat. Let set for 3 minutes to cool. Pour into pie shell. Set aside. Beat egg whites, vanilla and cream of tartar on high until soft peaks form. Gradually add 1/3 cup sugar and beat until stiff peaks stage. Spread meringue over pie filling, sealing to edges, sprinkle meringue with coconut flakes. 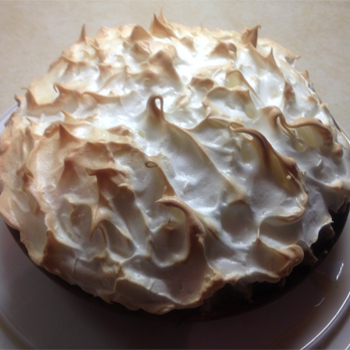 Bake for 12-15 minutes or until meringue is golden brown.